The Scrap Exchange is thrilled to announce that Laura Nicholson will begin work as Scrap Exchange Executive Director on April 29, 2019. 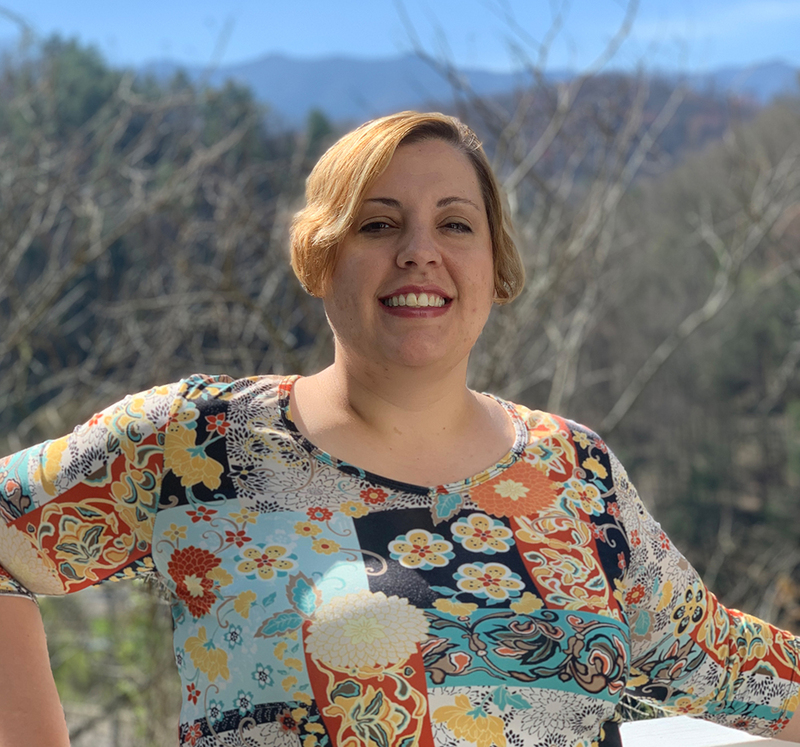 Laura brings years of experience in non-profit leadership, most recently as Director of Finance and Human Resources at the Jewish Federation of Durham-Chapel Hill (Levin JCC). Laura loves the Scrap and even remembers going to the Northgate location when she was a student at the North Carolina School of Science and Math. “When I first moved to Durham as a wide-eyed 15-year-old attending NCSSM, the Scrap Exchange at Northgate quickly became my getaway. I enjoyed exploring the bins, imagining unlimited possibility and purchasing low-cost items for school projects. Over the years, the Scrap has always held a key to unlock my creative potential,” says Laura. On February 18, 2019, longtime Scrap Exchange Executive Director Ann Woodward transitioned to a new position, Reuse Arts District Program Director, dedicated to the organization’s community development initiative in the Lakewood Shopping Center. Artistry comes not only in creating new works, but also in the skill it takes to bring old works back to life. Here is the story of one such new artist, Spencer Farrish, as told in his own words. “My father was a masonry contractor and 95% of his work (during the late 60’s and 70’s) was in Durham. I was employed with him during the summer months and on Saturdays when I wasn’t in school. I can remember a job we were doing in the Weldon Village area, I’m not sure what it was, but I can remember that the Hudson Funeral Home (which then looked like a house) was on the same street. The funeral home was in the process of being torn down and I think this tub came from that funeral home. Anyway, this tub ended up in our cow pasture in Roxboro. We used it to feed the cows hay. This tub remained there for at least 40 year or more. At some point in time it was flipped over. I had thought about the tub during the summer of 2018 and I tried to find it, but I couldn’t locate it due to the thick vegetation. During the month of December 2018, I stumbled across it. It was missing 3 claw feet and weathered very bad. I decided to challenge myself to bring it back to life. 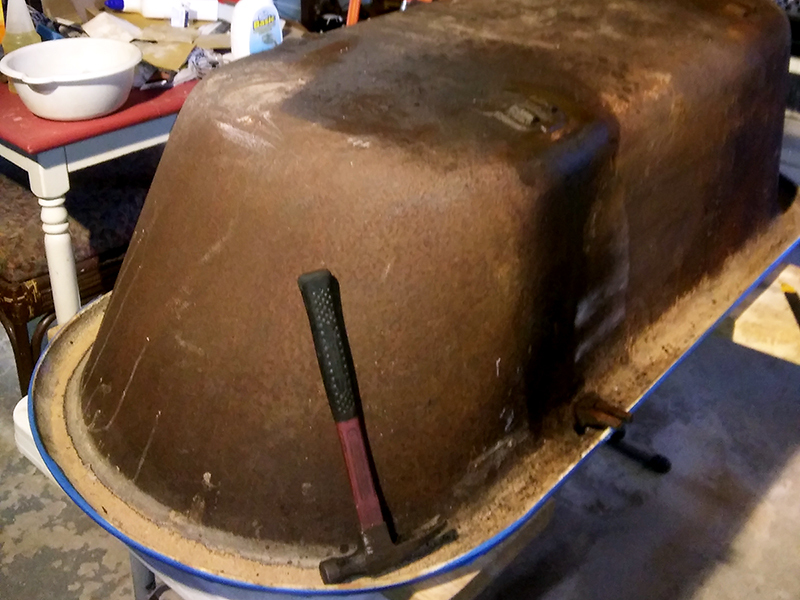 This was my first time ever attempting to refinish a tub (I did a lot of research on the internet). After I got it home, I hosed it down, washed it with soapy water and some bathroom cleaners, and then sanded it. 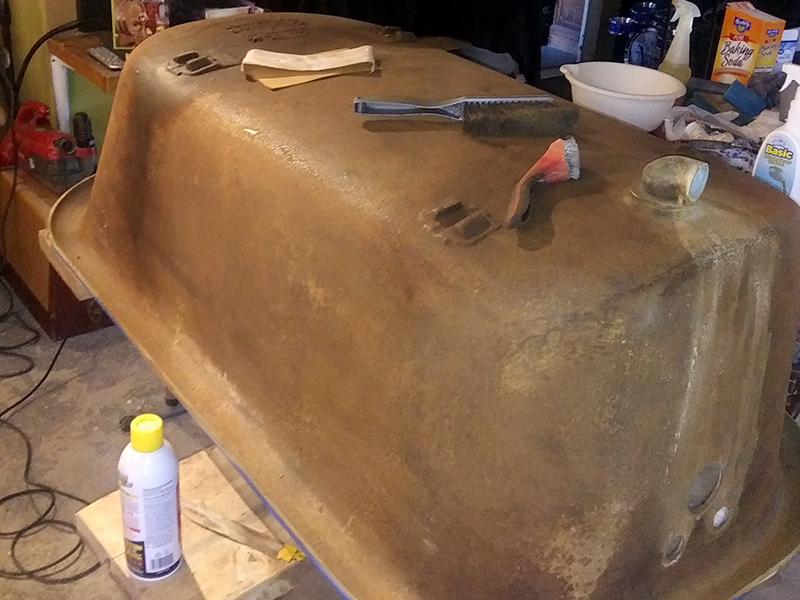 After cleaning/sanding I painted the outside with 3 coats of rust primer and then painted it orange. 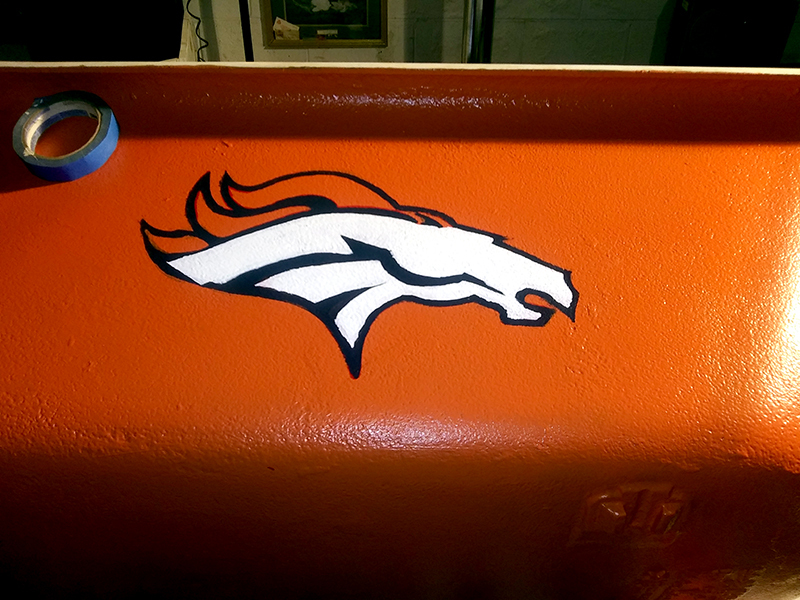 I then drew the Denver Bronco’s Logo on it (I became a Denver Bronco fan in 1979 when I was in the US Air Force stationed at Lowry AFB in Denver). 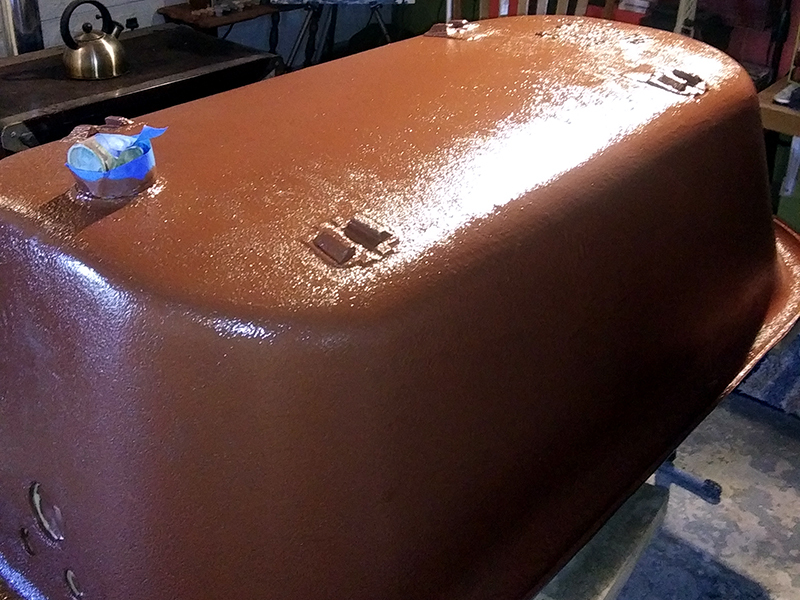 After I finished the outside, I used a tub refinishing kit to complete the inside area. The attached pics. will show the process from beginning to (almost) end. At the present time I’m still looking for a set of claw feet that will fit and I will paint them with rust primer and then paint them blue to match the Denver Broncos logo. 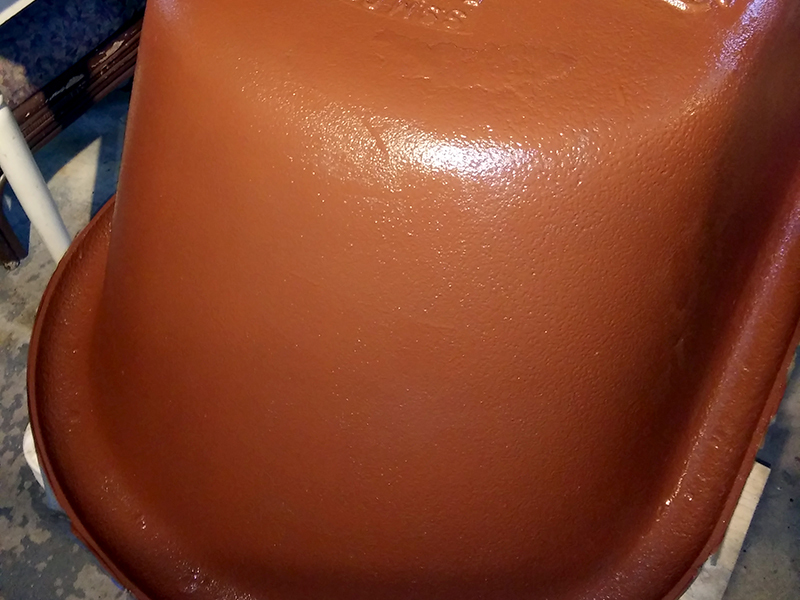 This tub was made in May 1922 by the American Standard Company. Green Forum Off to An Amazing Start! On March 30th, The Scrap Exchange launched it’s newest community, environmental awareness program titled the Green Forum. The event, a Sustainability Expo, featured the work of over 25 community organizations, live music from the Bulltown Strutters, and delicious goodies from So Good Pupusas, a local, certified sustainable food, truck. 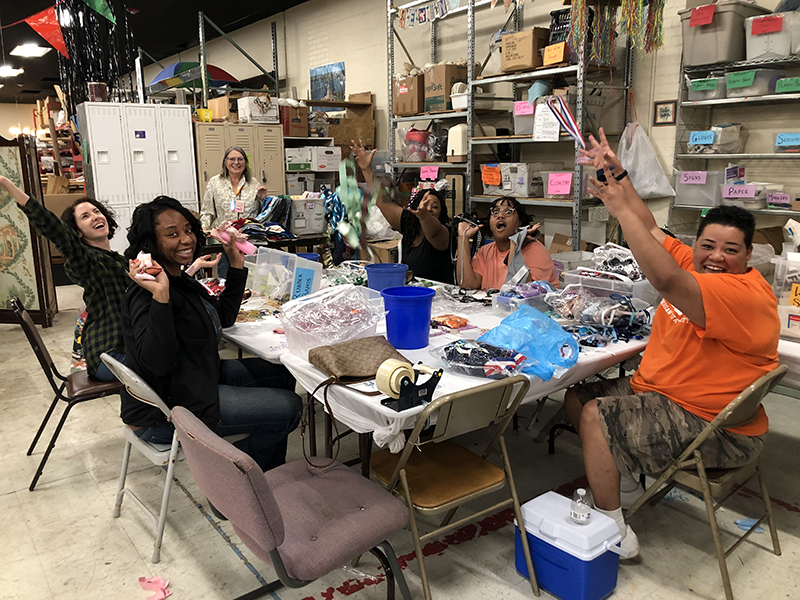 Approximately 400 people participated in the family-friendly, interactive activities that included a plant sale, a pot decorating station, make your own reused T-shirt bag, and a repair station hosted by the Repair Cafe! There was no fee to attend event and proceeds of the plant sale ($250) will be used to revitalize our community garden. The event also resulted in more community partners joining the cause and an endorsement from the Durham Environmental Affairs Board (EAB)! “Through the creative reuse of materials that circulate in our local economy, The Scrap Exchange provides a model for organizations, businesses and community leaders to protect our environment, build stronger communities and maximize the value of our local resources,”stated Cristian Roberto Valle Kinloch, a sustainability consultant who serves on the EAB. SPECIAL THANKS TO OUR ROCKING VOLUNTEERS! A lovely group of volunteers came to help pull out some weeds and overgrown plants with Jonathan Nyberg from Meadowsweet Gardens. Their efforts were a huge success! Pictured from left to right: Anna Graves, Tatyana Kasperovich, Rachel Roberts, Alex Luboff, Yulie Kasperovich, Elena Batrakova, and Jonathan Nyberg. Not pictured: Julia Currier, Jennifer Craft. A corporate group from the Association of International Certified Professional Accountants AICPA came to volunteer for the day. They helped us sort through multiple pallets of books in the warehouse and a backup of ribbon in the Scrap Shop. They were absolutely amazing! Our Volunteers Logged 100 More Hours in March Than in February!! A HUGE THANKS TO EVERYONE INVOLVED!